– helping you SEE YOUR OWN ROOM IN ANY COLOUR, LIVE! 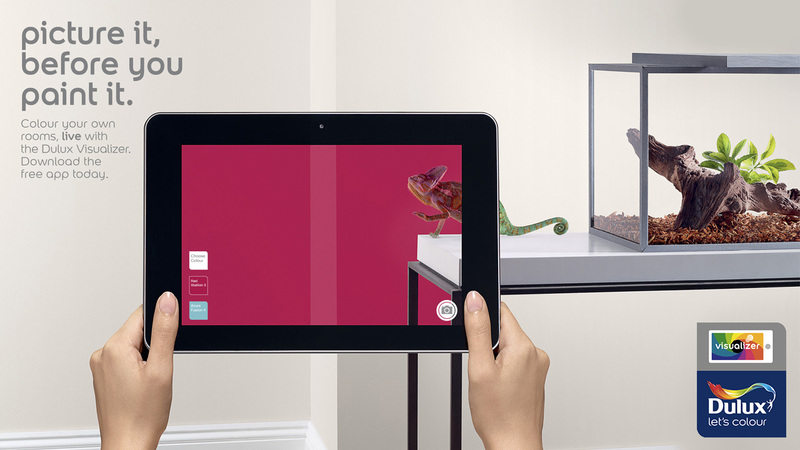 Using unique augmented reality technology, you can see realistic Dulux paint colours appear on your walls with just a tap of the screen. Experiment with bolder colours or narrow down your colour choices with confidence. Colour inspiration can be found just about anywhere; from a cushion or pair of shoes, to the flowers in your garden. Thanks to the Dulux Visualizer App and the new colour picker technology it’s now easier than ever before to bring those colours to life in your home and chose colour with confidence. The experts at Dulux give you a choice of colour schemes to go with your chosen paint colours or existing furnishings. You can also find your nearest paint stockists. The Dulux Visualizer – seeing is believing! New Dulux Visualizer – see your own room in any colour, live! Download it now from Google play. Download the FREE Dulux Visualizer app today on your smartphone and tablet device. Available on Google play.